Safety is rooted in everything we do. With over 8.5 million safe work hours without a loss time injury in the past twelve years, safety is rooted in our culture and everything we do. As proud members of the World Safety Organization, our goal is to prevent human suffering caused by accidents, injury or illness and to ensure that all return home safely to their loved ones each day. 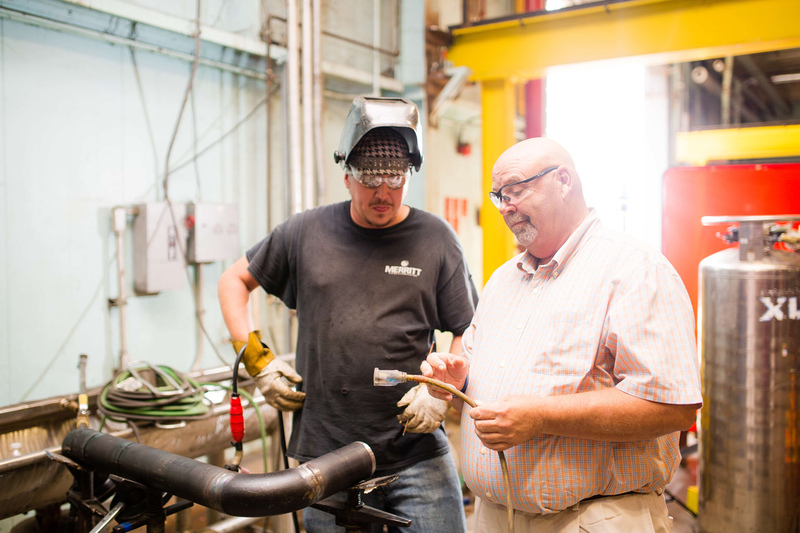 From the way we approach projects to the safety and specialty services we offer, our guiding principle is to continuously seek ways to improve safety, function and production for complex industrial environments. This commitment has driven the development of our safety and specialty services, including turnkey fall protection systems and training, machine guarding and comprehensive site safety management. Our seasoned safety professionals have decades of experience in the field and work tirelessly to abate risk. 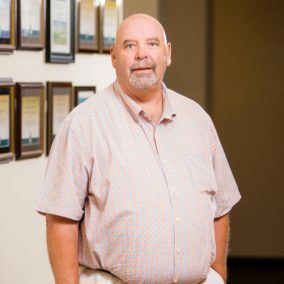 Trained in the latest OSHA requirements and federal, state and local regulations, we hold ourselves accountable to the highest safety standards and are constantly focused on avoiding occupational hazards and lost time accidents. From outages to pre- and post-construction, our safety and construction managers oversee your sites to ensure the project is constructed safely and in accordance with the project plan and contract documents. Our robust safety incentive program requires that we train constantly, address safety issues daily and audit jobs regularly. This daily due diligence mitigates risk, keeps us at our best and assures project success. 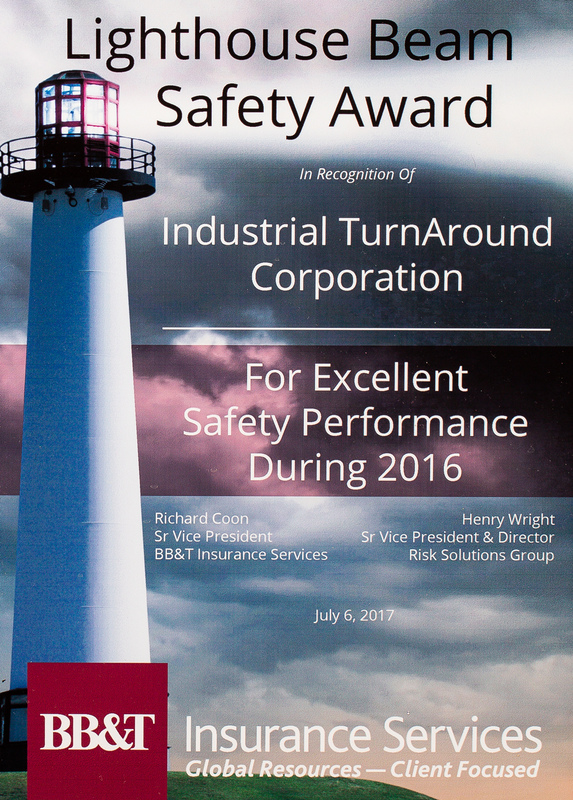 ITAC’s award-winning safety performance is the result of careful attention to all company operations from employees at all levels of the organization. This unwavering dedication to safety has earned the company prestigious awards, including BB&T’s Lighthouse Beam Safety Awards, an honor for which only 3% of clients in BB&T’s entire footprint are qualified. As a self-insured company, we also have a significant financial incentive to maintain a safe working operation. Not only that, we are passionate about worker safety and always protecting people and property.